I am definitely ordering one of these this week. 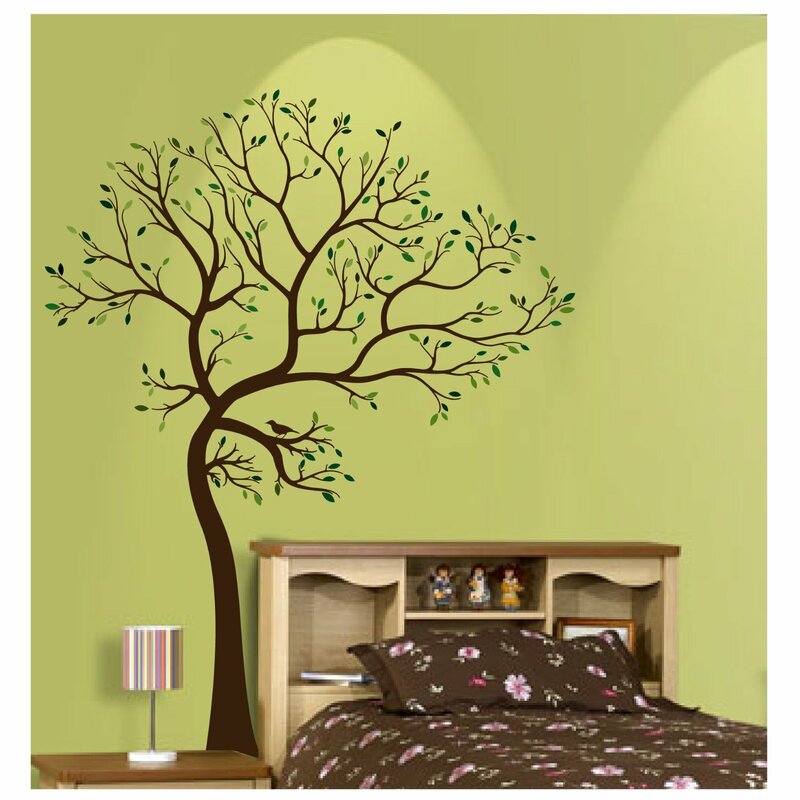 I can picture it being so sweet on our big white wall with the crib right below – and I just love trees. Side note… I never was one to want a tattoo because I couldn’t think of anything I wanted to put on my skin permanently. 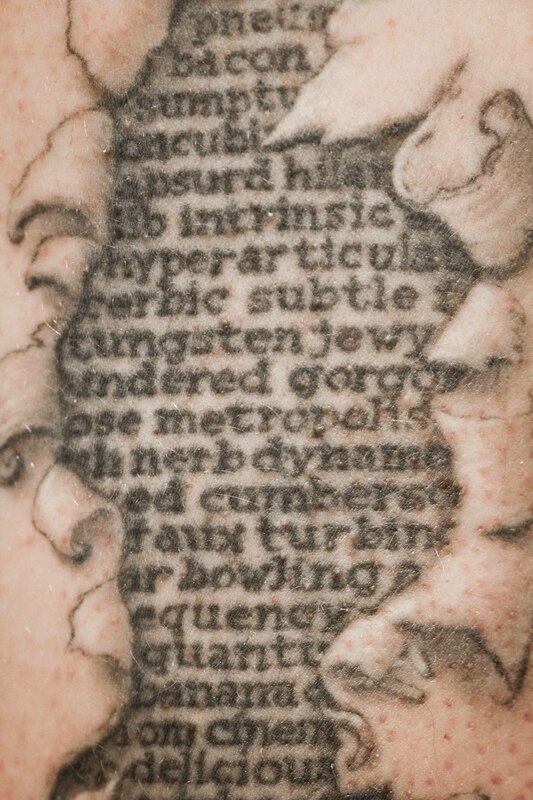 However, after seeing the artistry involved in Adam’s awesome tattoo, I started thinking about it a bit more openly. And you know what I came up with? A tree. If I ever get a tattoo (which I still probably won’t), I could totally see getting a small, beautiful tree – with roots – on the back of my neck (so I can hide it). There’s just something about trees that make me happy. They’re earthy and grounded and natural and peaceful. Ahhhh trees. Anyway blah blah… pardon my rambles. 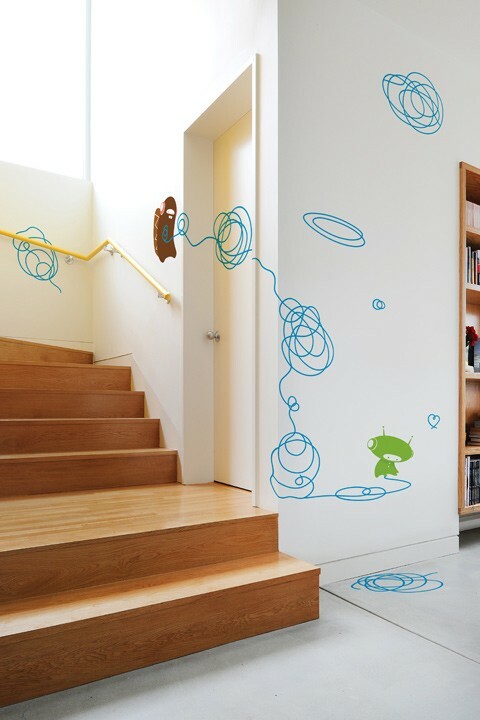 Meanwhile, I just think these stick-on wall decals are a brilliant idea! While researching, I found another site called Blik, which sells a bunch of really cool decals. I think this one is awesome (maybe for the next phase) – I love how the doodles make their way all over the walls and even onto the floor. So fun! I mean for real?? A little baby elf wrapped in fleece? I can’t deal. Then yesterday I ran into this onesie at a great little natural products store in Fort Greene called Green in Bklyn (great store… you should check it out if you’re ever in the hood). Cute right? Our little Brooklyn baby to be. 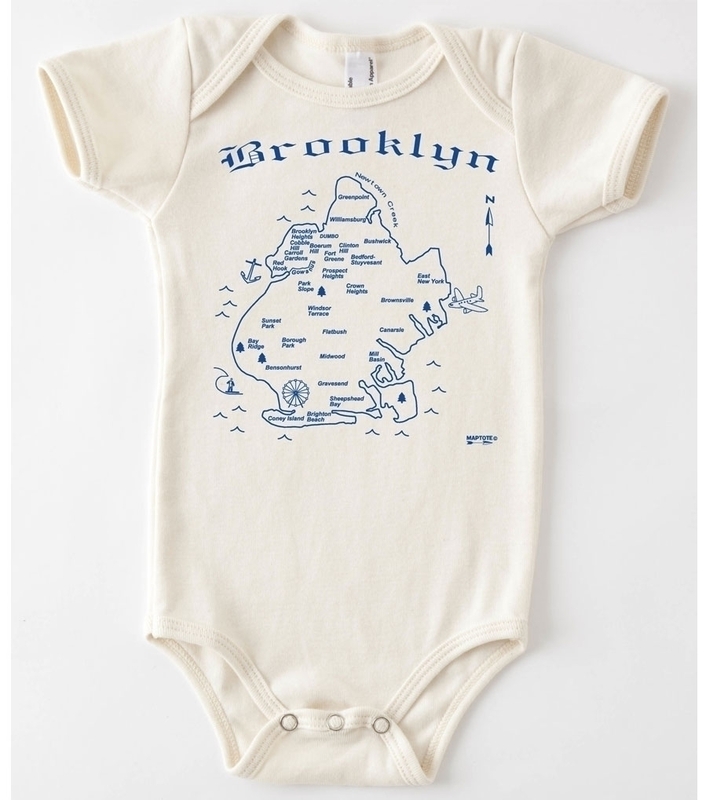 This onesie is made by a company in Brooklyn called Maptote. Anyway, forgive me – I’ll try to get myself under control… but this stuff is just ridiculous. Now I can see how parents go completely nuts with baby stuff. Everything’s just too cute. Oh – and by the way… I haven’t really been having many weird cravings throughout my pregnancy, but the other night I was in rare form and had an intense craving for Chinese Food, sour patch kids and milkshakes all at once! I refrained. But wow. Thanks for sharing with photos and feelings….. I love both trees…but maybe the one with the leaves blowing a little more…what colors does it come in? I vote second tree design! Happy Nesting and Happy Hanukkah! Hi Baby, I love this blog. You’re adorable. I’d go for the blowing trees. Talk soon.